What aren't the authorities telling us about Bigfoot attacks? We think of Bigfoot as the gentle giant of the forest, the shy and reclusive man-ape who prefers to avoid confrontation with humans. Bigfoot may be a little scary, but we figure he's not dangerous. Sure, he may harass the occasional camper or chuck a rock or two at an unwary hiker, but he probably has his reasons. The woods are Bigfoot's domain, and just like any other animal, or human for that matter, he has an interest in protecting his turf. Some of us might fear Bigfoot on a primitive level, and others actively seek him out, but few people enter the woods having just received instructions from a friendly park ranger on how to avoid a Bigfoot mauling. It just doesn’t happen. As it turns out, there certainly is anecdotal evidence that Bigfoot may act aggressively toward people, and on occasion even attack. 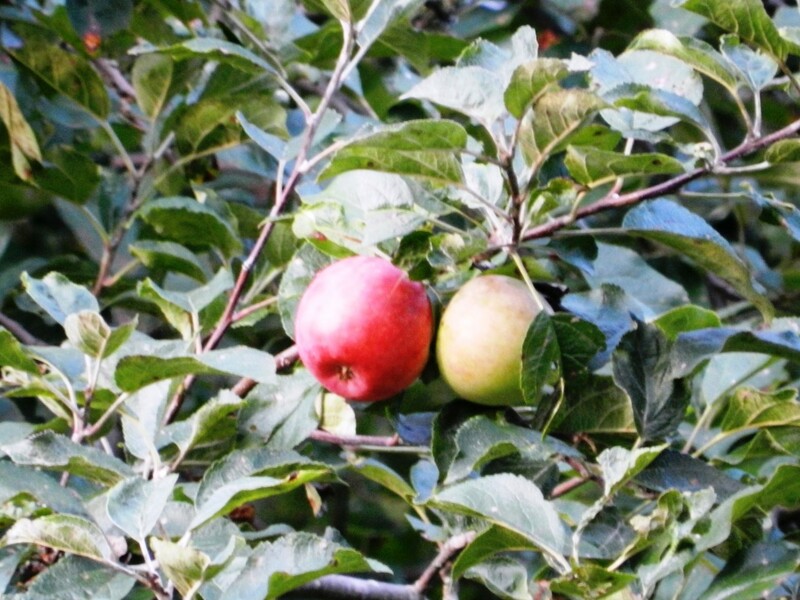 Consider this article as food for thought (pun intended) for the next time you go for a walk in the woods. Is Bigfoot an Aggressive Predator? Many of us think of Bigfoot as a big vegetarian, like the Mountain Gorilla or Giant Panda, but the available array of year-round plant life in most areas considered Sasquatch habitat doesn't quite support this. Most researchers believe Bigfoot is omnivorous, and some think he is capable of taking down game as large as deer or elk. For Bigfoot to somehow overcome and subdue an Elk he would surely need to have an aggressive side. Even White-tailed Deer are large, powerful creatures, and Bigfoot would need the skills of a predator to catch them. Another formidable predator known to stalk the Pacific Northwest comes to mind: The Mountain Lion. Mountain Lions are large animals, but only a fraction of the size of a Sasquatch. Still, they can easily take down a White-tailed Deer. While rare, Mountain Lion attacks also occur on humans, with devastating efficiency. Brown bears, too, are large omnivores that humans ought to give a wide berth. 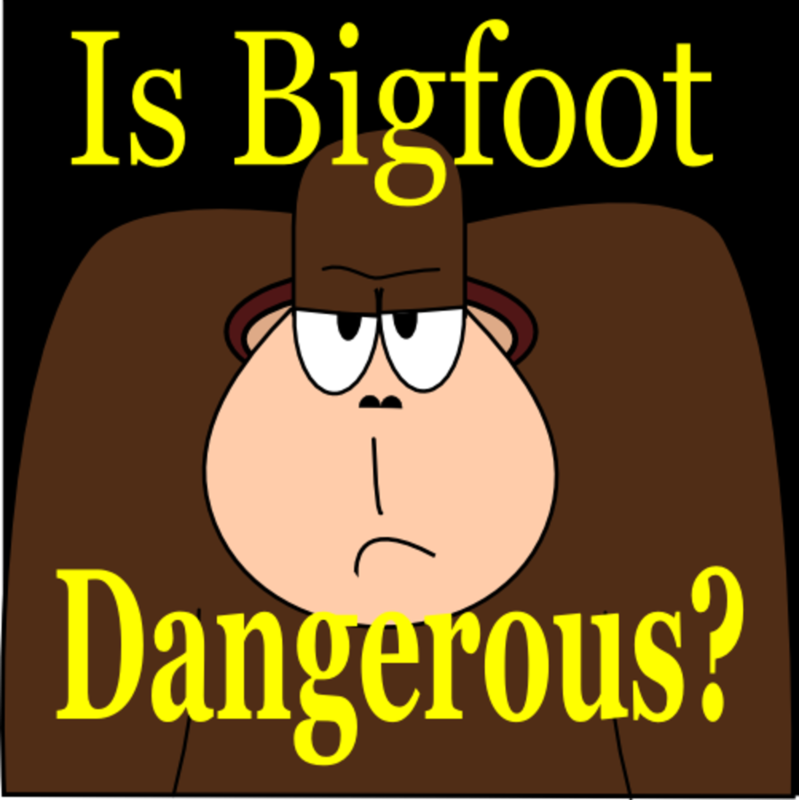 This presents a chilling question: If Bigfoot does indeed feed on deer and large mammals, and other large predators who prey on large mammals occasionally attack humans as prey, would Bigfoot attack people for the same reason? The idea of Bigfoot preying on humans is pretty far-fetched, and there is little anecdotal evidence to suggest this is occurring. But there is one reason Bigfoot may be aggressive toward humans, and we may see conflicts occur more often in the future. According to stories, there appears to be a strong possibility that, at least on some occasions, Bigfoot may be fiercely territorial. 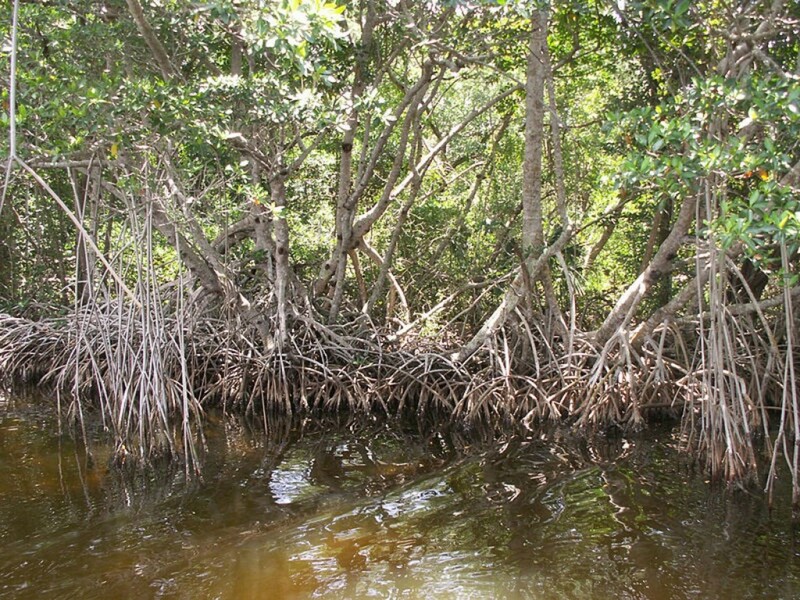 Another bipedal creature in its habitat may be seen as a threat, and if not attacked outright at least warned off. There are accounts of Sasquatches throwing rocks or sticks, and even knocking down small trees in an effort to frighten humans away. People usually get the hint and get out of the area, but what would happen if they didn't? If Bigfoot is really interested in protecting his turf, if he is the biggest, baddest critter in the forest, might he on occasion attack a human being in order to assert his dominance? Silverback gorillas are known to charge careless researchers, and even chimpanzees can be extremely aggressive toward humans. Why not Bigfoot? As the forests dwindle and humans continue to encroach on the Bigfoot territory, will we see these encounters increase? Was this a Bigfoot Attack? This article is intended to get you thinking. We never hear about Bigfoot rampages on the news, but there are stories floating around where Bigfoot is alleged to have attacked human beings. 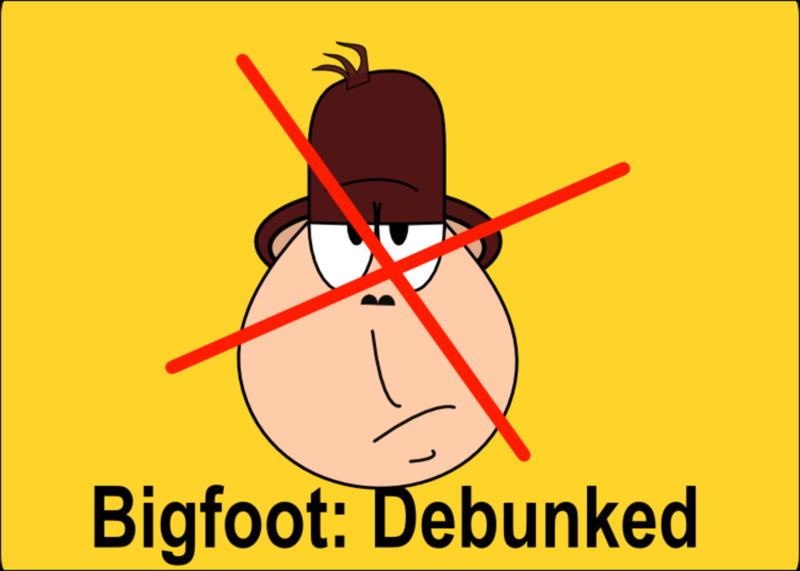 Please remember these are only stories, and Bigfoot is innocent until proven guilty. In 1902 in Chesterfield, Ohio, a group of ice skaters were assaulted by a hairy, 8-foot monster carrying a wooden stick. It is unknown how the people escaped, as Bigfoot is known for his skating as well as his puck-handling skills. In Thompsons Flat, Oregon, a Bigfoot supposedly scared off the town's inhabitants back in the 1800s. One man stayed, and was later found dead, apparently having been bonked with a large rock. In 1924 a group of miners near Mount St. Helens, Washington, shot a Bigfoot, only to have its buddies relentlessly attack their cabin with rocks and debris through the following night. Apparently, beef jerky or no, there really is no messing with Sasquatch. 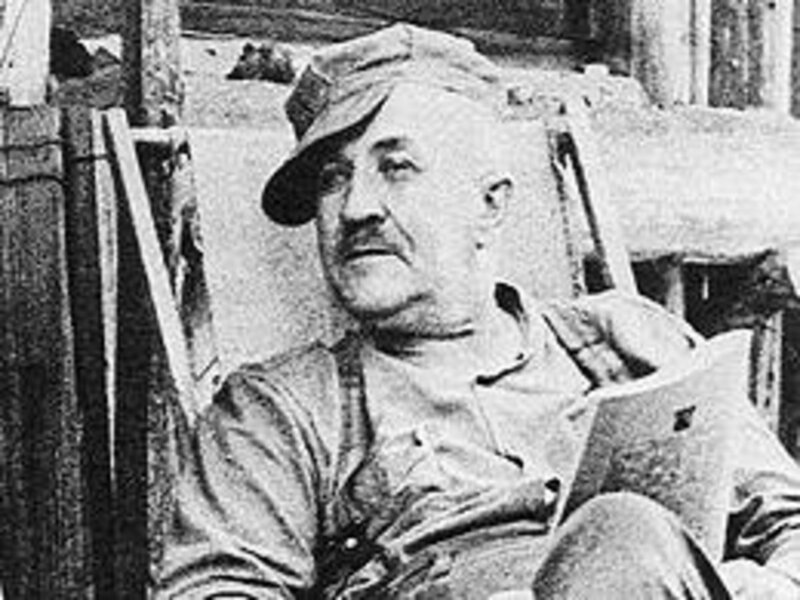 Also in 1924, a Canadian named Albert Ostman claims he was kidnapped by Bigfoot and taken back to the creature’s family. After six days he fired his rifle in the air and made his escape. Why he waited six days is anyone’s guess. Teddy Roosevelt himself (you know, the President) reportedly knew a man who claimed his trapping partner was killed by a Bigfoot somewhere deep in the woods. It may have been a tall tale, but it seems Teddy believed it. Teddy Roosevelt's Bigfoot story is one of the most intriguing anecdotes of Bigfoot lore. In the 1970s a Bigfoot allegedly tore up a California campground, and killed several people. This was kept quiet by the authorities, until the story came out in a newsletter in the early 1990s. Obviously, the stories above range from completely ludicrous to believable but admittedly unlikely. Some may be tall tales hatched decades ago and grown more interesting with time. Or, these could be real events with more reasonable explanations than a marauding Bigfoot. Bear attacks, woodland accidents, campfire stories and a little nip of moonshine now and then go a long way toward explaining stories such as these. We also have to wonder how many Bigfoot encounters have gone undocumented over the years, particularly during the time when North America was an unexplored wilderness. If you believe in Bigfoot, the possibility exists that the creature could be more aggressive than we realize, and, as humans continue to encroach on its natural habitat, violent encounters could become more frequent. While it's unlikely that Bigfoot would prey upon humans as a food source, it is certainly conceivable that he may decide to throw his weight around from time to time. Like a bull moose, Bigfoot may not have it out for us, but if we get in his way we may be asking for trouble. No doubt the woods are packed with more Bigfoot researchers than ever, and as we continue to crowd the creature we have to believe, under the right circumstances, humans could be targets. 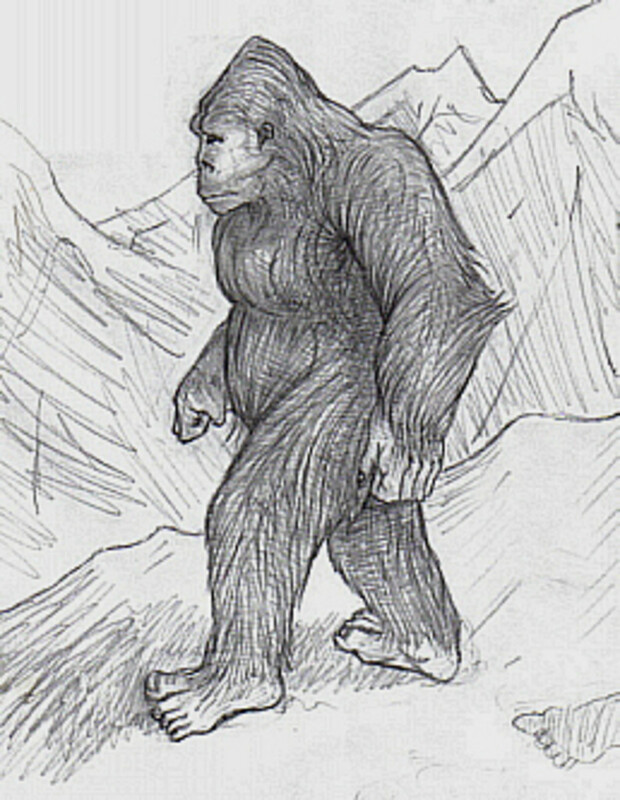 People have spotted Bigfoot in Pennsylvania, Ohio, Florida, Maryland and most other crowded eastern states. Other large carnivores of the forest—brown bear, cougars, wolves and even black bear— occasionally take advantage of our stupidity. 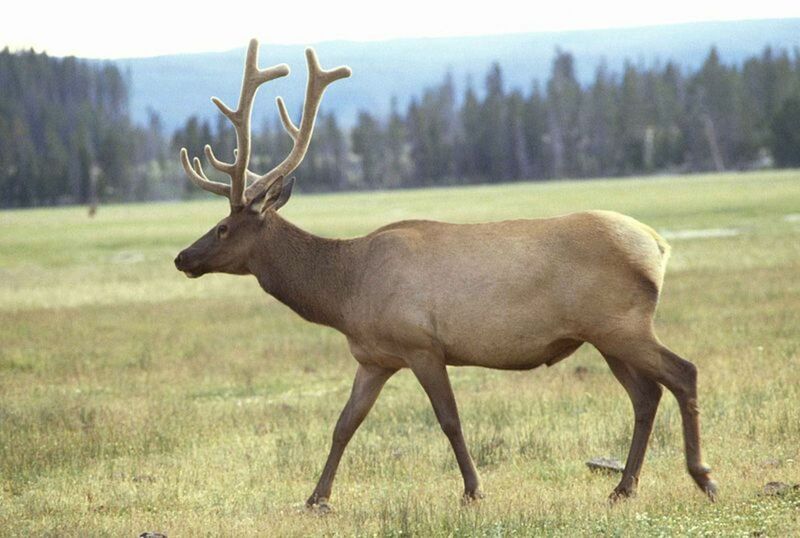 Wild animals such as moose, elk and even deer can pose great danger to humans if we get on the wrong side of them. Might Bigfoot be just as dangerous? Next time you take a walk in the woods tread lightly, and make sure you bring your Bigfoot repellent! Is Bigfoot Dangerous to Humans? Do you believe under the right circumstances Bigfoot could attack a person? Definitely. Bigfoot cannot be trusted. Maybe, but only as self-defense. No way. Bigfoot just isn't like that. 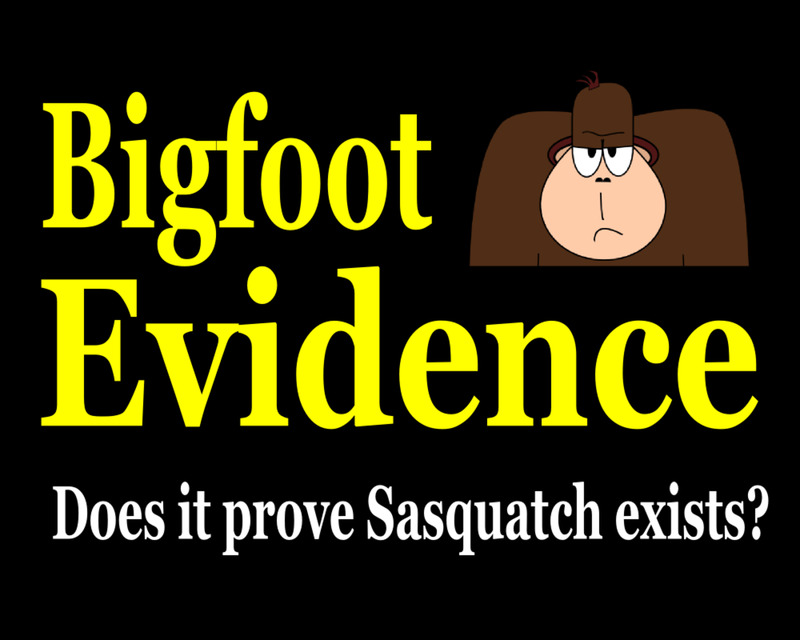 Perhaps, if Bigfoot actually existed, which he does not, so you needn't worry about it, stupid. I have been attacked by Bigfoot. If you do a little research you start to run into stories from different Indian tribes. In these stories large hairy men attacked the Indians and in some they ate them. The Indians hunted them down and killed these hairy men and burned the bodies. I would say that Bigfoot is very intelligent and has learned what happens when they kill one of us. Of course they are curious. We pose the largest threat to them. They remain hidden mostly so if one shows himself/herself then there is a reason. I imagine it is to see what you will do. Where there is one is there in normally another so for the one you see there is at least one you do not. So the question is would they attack man. They have. Do they do it now? Only when they are certain that they would get a way with it is my guess. Under the right conditions man will consume man so why wouldn’t a starving Bigfoot? They are. Oppertunist, they know if your by yourself.they Are aggresive. They do not like man. They also do not make many mistakes if and when they take a human.they know from past,we would burn the forest down to retrieve our own. They are dangerous animals. My family has had quit a few run-ins with Sasquatch back in the 90s at my families farm. They seem more curious then anything. They never attacked only tried to peer at the house from the barn and once came on the back porch. I know Bigfoot is real, I'v had a couple encounters.I believe Bigfoot would not see us as a food source. I don't believe Bigfoot would not be Cannibalistic and look at us humans as not a food source but a close relative and avoid conflict unless we invaded Bigfoot safety zone. 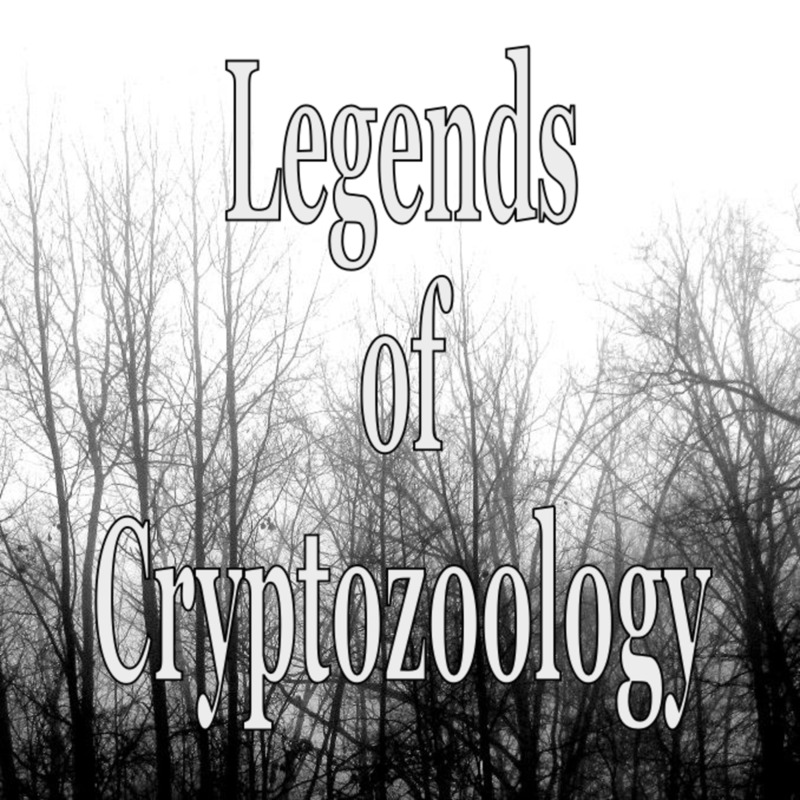 Like people, There may be Bigfoot that may have a mental problem leading to kidnapping a human victim for curiosity, Like people capture and cage wild critters just for the curiosity. May not mean to harm us. Would we not capture and cage a young juvenile Bigfoot if we had the chance. A unstable Bigfoot.DANGEROUS. Amazing article! 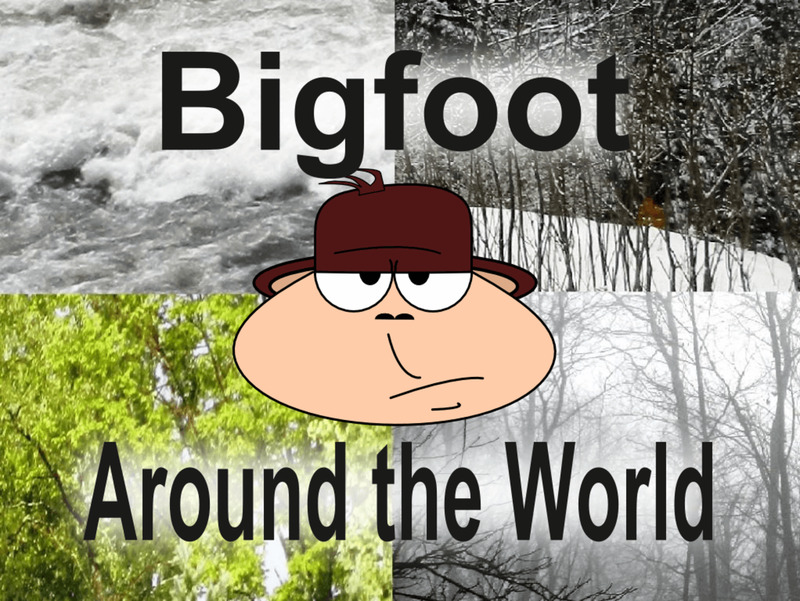 Just like Megalodon, bigfoot has enormous amounts of woods to hide in. When people destroys the trees and habitat it is not so hard to imagine a bigfoot defending its habitat. Last night (Aug 3, 2015) 2:30. A.M I woke up from banging noises in my backyard. I looked thru my bedroom window I then saw a pair of two glowing green eyes staring at me. I woke up my friend. By the time my friend woke up it was gone. In my spiritual studies, I have learned that Bigfoot, or Sasquatch, was created by the scientists of Atlantis for slave labor. They are generally fearful of humans and try to avoid us. Genetically, they are phasing out and will eventually be extinct. i love all these stories. A very enjoyable read and quite humorous to boot!!! Being an ex Forest Ranger, I am convinced the Sasquatch exist and it is entirely possible (if not probable) that "Bigfoot" helps himself to a few campers and hikers now and then. Many hikers, campers, drifters, and hitchhikers go missing each year...so who knows....perhaps the prospects of an easy meal are too much for a Sasquatch to resist. Could be a big part of it, Larry! In fact, especially with the election so near, I think it's only a matter of time before the Obama administration is called on the carpet to spill the truth about Bigfoot attacks. "What aren't the authorities telling us about Bigfoot attacks?" Is this the real reason why our government is so paranoid about Wikileaks? :) Voted up and interesting.